Do you ever just want to sit down and watch an anime that makes you smile? A show that helps you laugh and push the world back to arm’s length? Here are five shows that are my go-to series to refresh me through humor or big-heartedness. Lucy Yamagami, Yutaka Hasebe, and Saya Miyoshi start work on the same day at the local ward office. Lucy hates her name. She took the job at the ward office was to track down who approved her name on her birth certificate. In spite of that, she’s a diligent worker. Hasebe took the job because he thought he would have plenty of time to goof off; Miyoshi is the only one seriously trying to start a career. You can tell Lucy’s mood by watching her hair. Capture from the Crunchyroll stream. Their supervisor, Taishi Ichimiya, struggles to keep Hasebe from wasting time. He also tries (and generally fails) to keep his sister Tōko Ichimiya from disrupting the staff. It doesn’t help he’s also trying to manage the cosplaying part-time worker Megumi Chihaya, who has her own way of doing things. Did I mention they work for a talking and ambulatory stuffed rabbit? Miyoshi is completely unable to socially defend herself, so she ends up spending hours talking to old ladies at the customer counter. One of those ladies tries to setup her son with Miyoshi. Hasebe thinks he might be developing feelings for Lucy, who prefers to spend all of her money on books and read at home. The ward office might sound like a dull place for a story, but the characters keep things moving briskly, and the mystery of who approved Lucy’s birth certificate was not only hilarious, it was also dramatically satisfying. It’s also streaming on Crunchyroll. Inami, after having “greeted” Takanashi, hides behind Shirafuji out of fear. 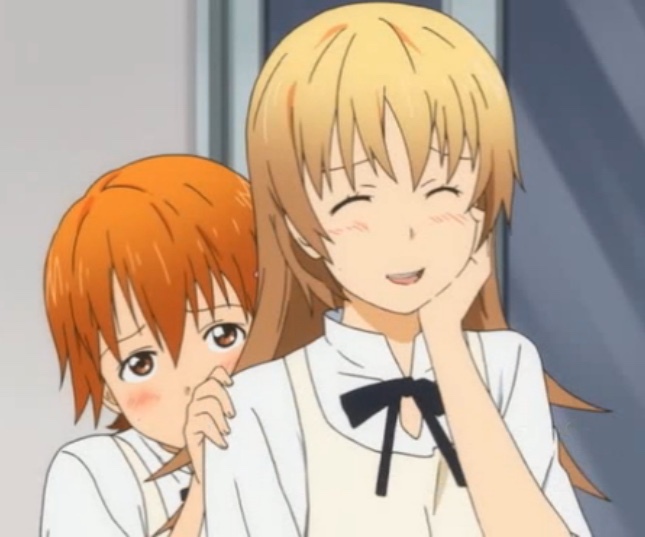 Though I think Takanashi should be the fearful one! Capture from the Crunchyroll stream. The restaurant Wagnaria is short-staffed, so Popura Taneshima hits up her friends trying to find a new coworker. 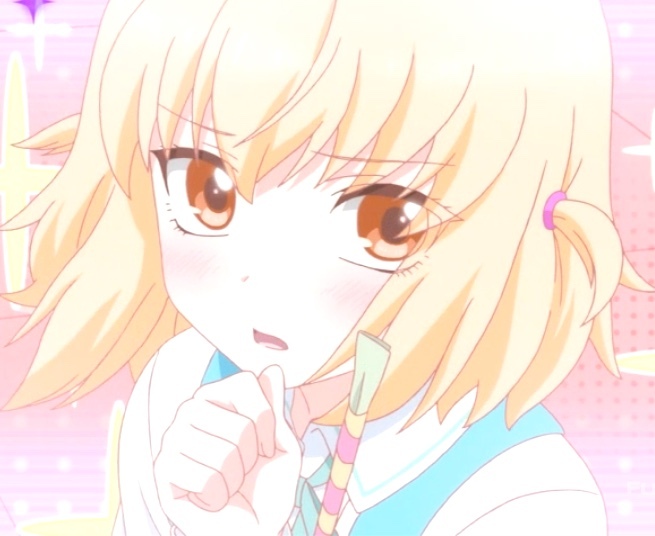 She finally spies Souta Takanashi, who happens to love cute small things, and convinces him to join the staff. For the next three seasons, Taneshima has to learn how to deal with his coworkers, all of whom have their own issues. Taneshima is self-conscious about how short she is. Yachiyo Todoroki, the chief of the wait staff, carries a katana and is devoted to their manager, Kyouko Shirafuji, about whom she gushes to one of the cooks, Jun Satou. He’s completely in love with Todoroki, but she’s oblivious. Hiroomi Souma, another cook, digs up dirt on everyone. He doesn’t want to blackmail them; he just likes to torment the staff. My favorite character is Mahiru Inami, a member of the wait staff. 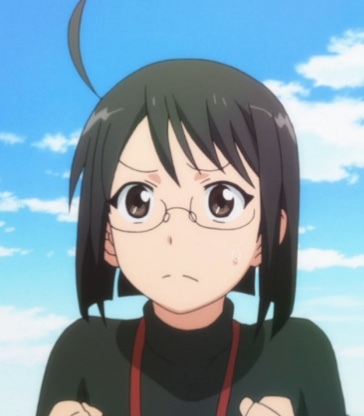 The instant she sees Takanashi in the first episode, she punches him — very, very hard. Other characters come and go, and each has their own bizarre and often surprising arcs. What I like best about this show, though, is watching the relationships develop. We find out, for example, why Inami punches most men (not just Takanashi; he was just convenient) on sight and why her punches pack such a wallop. The show does a great job of fulfilling the promise of almost every detail and character it presents. It was one of those shows that once I found it, I just couldn’t stop watching it until I ran out of episodes. You can also watch it on Crunchyroll. This show took me by complete surprise. The title didn’t grab me, but I was low on new shows to watch, so I tried it. It hooked me from the first moments of the first episode. Kobeni Yonomori just turned 16, and she’s looking forward to being an adult. While she expected her overly protective sister, Benio Yonomori, to make a big deal of her birthday, she didn’t expect her mom to introduce her to her betrothed, Hakuya Mitsumine, who was standing in her living room. He brought his sister Mashiro Mitsumine with him. 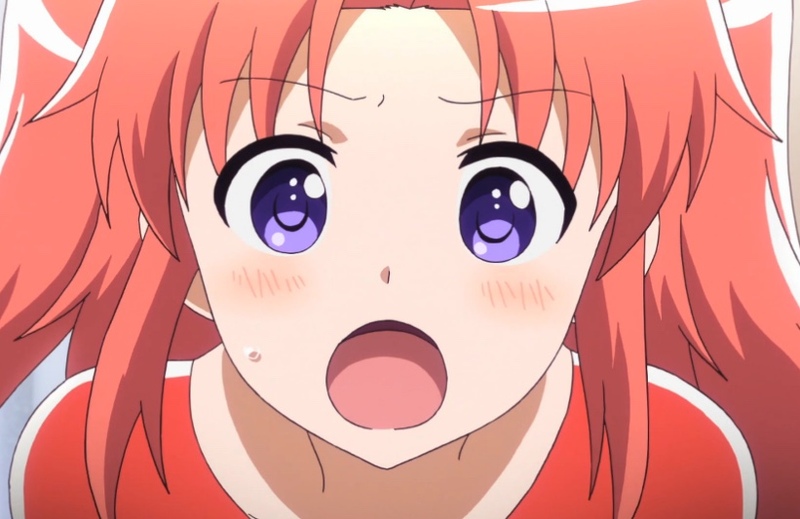 Kobeni’s shocked and spends the rest of the series trying to understand how she feels about the situation. In the meantime, the plot slowly reveals the answers to mysteries, like why does Kobeni have such a weak constitution? Where did Hakuya and Mashiro come from? How does Benio, universally admired at school, have such a thing for sisters and little girls like Mashiro? And what does Mashiro have to do to get a prize other than Nessie? Kobeni was pretty surprised to hear about the engagement her grandfather had arranged. Capture from the Crunchyroll stream. There are supernatural elements at work, but I don’t want to spoil the surprise. I’ll just say that the show was so warm and inviting that I couldn’t help but be enchanted. And I thought I was immune to that kind of thing! Kobeni’s earnest search for answers and Hakuya’s unwavering devotion play well off Benio’s unrelenting attacks on “Marshmallow” (her nickname for Mashiro) and Mashiro’s adorable antics. The OP and ED are upbeat and fun, too. It’s also available for purchase on iTunes, or you can watch it on Crunchyroll. D-Frag is frenetic. I can’t think of another anime with this much energy. Don’t believe me? Take a moment and watch the OP. It perfectly sums up the show. Shibasaki’s Moe Moe attack is formidable. Capture from the Funimation stream. Kenji Kazama is a tough guy who, with his two tough friends, wants to make a name for themselves at their new high school. Members of the Game Creation Club (provisional) have other ideas. They need another member and they go after Kazama. The class president and club member Chitose Karasuyama doesn’t know how to take “no” for an answer. Sakura Mizukami fancies herself a water-elemental magic wielder, and she fights along side Karasuyama to bring Kazama on board. Roka Shibasaki, the final member of the club, is the most dangerous even though she’s the smallest. Taken together, it’s sometimes hard (and maybe even impossible) to know when they’re playing a game and when they’re serious. It doesn’t help that Minami Oosawa, the club advisor, pays little attention to what’s going on around them. Then Takao, president of the Game Creation Club, tries to thwart Shibasaki and her club. I like a lot about this show. It’s visual gags are non-stop. It blows past tasking itself seriously and over-dramatizes events to comedic effect. The plot’s interesting, too: why is Takao so angry with Shibasaki? What does the past class president have against Karasuyama? Just how effective can twin-pigtails be in battle? How strong does Takao’s sports jacket’s zipper need to be? Plus, I think Shibasaki has the most adorable chibi form I’ve ever seen. I spent the first episode in a state of amused shock. If you need something to get you away from the “real” world, it’s hard to find something more effective than this. You could also watch it on Funimation. This is another show that took me by surprise. I saw some memes featuring the lead character in “home” form, so I checked it out. Wow. It’s funny. Like D-Frag, its OP sums it up in a minute and thirty second package. The story’s about Umaru Doma. By day, she’s an above average high school student with few friends. Why? Because as soon as she gets home, she dons a hoodie and fires up her video games, watches anime, or reads manga. Her home form is a chibi version of herself in an orange hamster hood. And she’s completely happy with that arrangement. Her brother, Taihei Doma, pays the rent and would like to see her make more friends. He’d also like to see her do more housework. As the series progresses, she makes some new friends like their neighbor, Nana Ebina (who seems smitten with Taihei), Sylphynford Tachibana (her rival at the arcade), and Kirie Motoba (who’s openly devoted to Umaru). The story follows their exploits as they become better friends and as Umaru explores the culinary frontiers of cola, chips, and other junk food. Umaru is so likable that it’s fun just to watch her express her otaku-ness (or hide it at school — that’s fun, too). The other characters add their own quirks. Ebina loves when she’s invited to have dinner with the Doma family, but she’s nervous talking to Taihei. Taihei is so focused on work that he often forgets that living’s important, too. Motoba hates Taihei, but she doesn’t know that her brother is Taihei’s best friend. It’s not as frenetic as D-Frag, but it has a great heart and characters. You can also watch it streaming on Crunchyroll. 5 More Funny and Light-Hearted Anime Series! Interesting list. 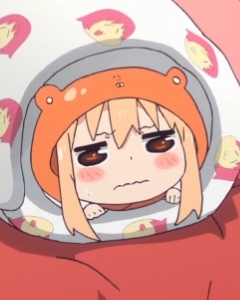 One of my friends is a huge Umaru-chan fan (say that five times fast) and has recommended that series to me. I guess after reviewing Otaku no Video and revisiting Comic Party, I might check that out when it comes to anime about otakus. Hahaha! Comedy anime is tricky for me since some can work really well or some can just fall flat. Shinesman is probably the funniest anime I’ve seen that I still laugh to this day watching it. I mean, it’s businessmen Power Ranger-parodies fighting aliens who want to take over the world through big business. The concept is so absurd that it just works and the English dub is amazing which I’ve told you about. I wish any of the streaming services I subscribe to carried Shinesman. It sounds like something I’d enjoy. I’ll be interested to hear what you think of Umaru-chan. I hope you’ll review it! I hope so, too. It’s a bummer Anime Works lost the license to it. Hopefully someone relicenses that OVA. Sure thing and I’ll let you know when and if I do.